In Minnesota, the seasons are always changing. When the seasons do change, it’s the perfect excuse to change your home décor and the general feel of your home, as well. Rather than looking at the same colors, themes, and decorations all year-round, use these ideas on how you can bring the change in seasons inside your home. Keep spring colors and accessories light, both in feel and color. De-clutter. Rooms can fill up with extra blankets and things used when stuck indoors throughout the winter. You’ll want to bring airiness and freshness to each room for spring. Brighten up the room with lighter wall colors, brighter curtains, colorful throw pillows, and bright area rugs. Use both bright colors and pastels. Play with patterns of all kinds, but especially floral. Hang string lights both indoors and outdoors to always be able to enjoy summer nights. Get creative with sand for fun centerpieces. Play with stripes and use them throughout the room, for example, for fabrics or on walls. Fruit baskets can make beautiful decorating pieces. Lighten dark furniture with lightly colored slipcovers. 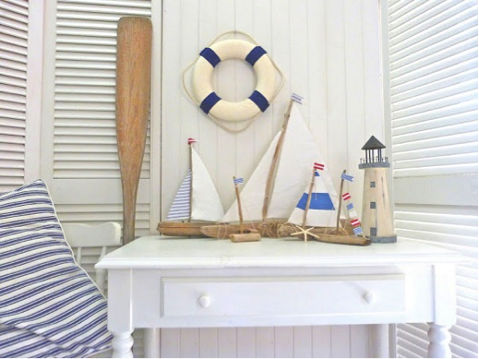 Use nautical décor and themes throughout a room. Don’t be afraid of bright, bold colors. 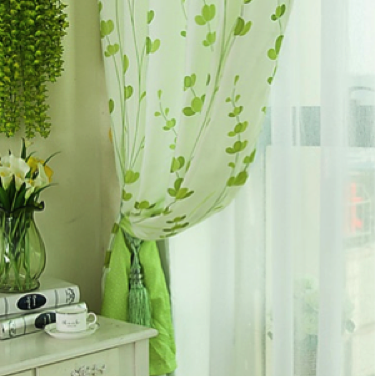 Use light curtains, rather than drapery, and pair them with sheers. Mix neutral colors with warm tones, both on walls and throughout your décor. Get creative with pumpkins: put floral arrangements inside, layout different shapes and sizes, place candles inside, etc. Use mason jars for, well, just about anything. Start adding layers to your furniture as the crisp weather rolls in; for example: adding wool, cotton, chenille or cashmere throws over furniture. Accessorize with autumn’s hues and fall foliage. You can do this by creating arrangements using small trees, branches and colored leaves, or sprinkling autumn leaves over your mantel or any flat surfaces. 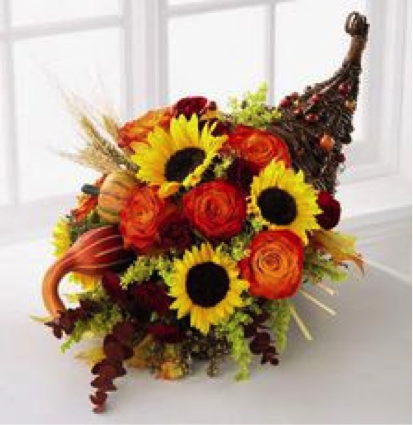 And don’t forget the traditional cornucopia filled with fruit, vegetables, gourds or flowers! Create winter arrangements using pine greenery, pinecones, birch, bare branches, and bright-colored berries. This will also add a wonderful fragrance to your home. 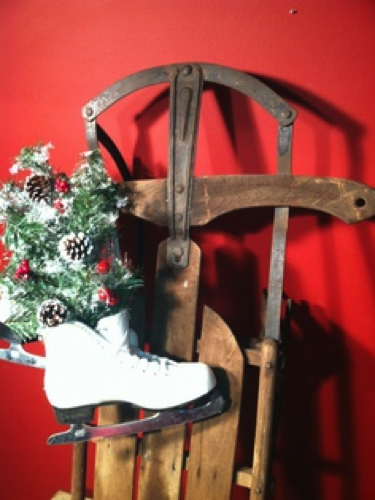 Vintage ice skates and old sleds make for the perfect vintage, winter décor piece. Use cool colors throughout your home, but don’t overdo it and increase your winter blues, so add pops of cheery color. Adding a fluffy area rug to your wood floors will add a cozy feel to the room. Add some sparkle to act as a beautiful snow dusting on flat surfaces, or as part of your centerpieces. Play up your fireplace mantel and make it the focal point of the room, since that is more than likely where a lot of your attention will be throughout the winter cold winter months. Candles and string lights will add a cozy feel and keep light in your home during those short winter days. Of course there are numerous different ways you can bring the seasons into your home, but these general ideas will be a good place to start. Visit www.hennenfurniture.com to get the things you need to make these changes happen.